Every business needs a corporate bank account and there are numerous banks worldwide that provide services to companies. Banks specializing in corporate accounts will offer you services geared towards the needs of businesses and offshore companies like online banking, international cards and comprehensive customer service. Before selecting a corporate banking institution for your business account research the features offered by each bank to find the best institution for your business banking needs in 2019. The cost of opening a business bank account can range from several Euros to several thousand Euros depending on the type of the company, jurisdiction of the company, the type of bank, country of the bank, the company’s operating environment and industry, the amount of documents required to open the account and the opening speed of the account. Will your corporate bank provide you with a personal banker? Does the bank provide a connection between your bank account and a billing system like PayPal? What will the charges be for specific transactions and services? What kind of interest does your bank offer? Does the bank offer payroll services? If relevant to your account, are multiple account signatories possible? Is a minimum balance required? Will the bank be able to offer your business loans if necessary and at what cost? Are there limits to the amounts you can withdraw or transfer? The corporate bank in Europe should provide effective and speedy assistance in opening the account in locations across the globe with a minimum amount of visits to the brick-and-mortar bank for face-to-face meetings. All banking services should be accessible from a remote location. The required bank services should be offered to each business client no matter if they are a small business, startup or well established corporation. Provision of credit and debit cards. Service of a personal banker and a committed banking staff. Single or multiple currency interest. Comprehensive online banking services and support. Want to open a business bank account? Ability to access the account from a remote location in any part of the world. Ability to send and receive SEPA Payments. Option to open both a business and personal account at the same bank. You should be able to open the corporate account remotely without visiting the brick-and-mortar bank. The bank staff should handle the set-up process and guide you through the steps towards opening your Europe business banking account. 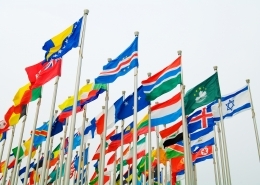 Offshore accounts should have the option of not being associated with a specific jurisdiction. The European business bank account should be accessible via high-speed internet to facilitate fast, smooth transactions. on-residents of Europe can enjoy the advantages of having a bank account in Europe. There are several options open to foreigners and non-residents of Europe who want to open a bank account in Europe. It is important to have an understanding of European banking before you seek out the best European bank account for non-residents. Opening a European bank account does not necessarily mean opening a bank account in a European Union country. Some countries physically located in Europe are not part of the European Union and make it easier for non-residents and foreigners to open bank accounts. Although having a bank account in a non-EU European country is beneficial it does not have all the advantages of banking in an EU country. If you are looking for the best European bank for non-residents it is important to understand SEPA – the Single Euro Payments Area. This unique payments system allows for faster and cheaper cross-border money transactions between SEPA countries as if they were domestic transactions. Bank accounts held in SEPA-member countries can also receive transfers from outside SEPA in a more timely and cost-efficient manner. Not all SEPA countries use Euro (Poland, Denmark, Sweden and others) but all EU and EEA countries are SEPA-members as well as San Marino, Liechtenstein and Monaco. Opening a bank account as a non-resident in a European country that does not use Euro is often easier than in EU countries where the national currency is Euro. If you have a bank account in Europe your customers in the EU can make purchases from your company by SEPA transfer. SEPA money transfers are low-cost – this is an advantage for your EU customers and for you when you need to pay suppliers. 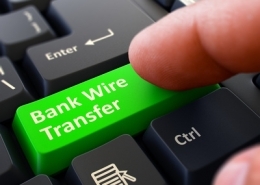 SEPA euro money transfers are fast and can even be completed within 1-2 banking day. 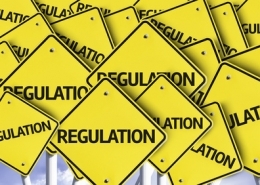 Regulations differ between the various EU and EEA countries but when using a European bank account and SEPA money transfers many of the regulations are standardized. Physical EU Address and EU Personnel:Regulations vary between European countries. Some banks require that your company have a physical address in Europe. You will need to have a physical address in the EU even if you do not actually need it to operate your business. Some EU countries will allow you to list the offices of a European attorney, notary, registered agent or representative as your business address. In addition to having a physical EU address some countries require you to have local personal. Other Requirements: Some EU banks will ask for credit and background checks before they will open a bank account for a non-resident. To open your corporate bank account in Europe as a non-resident you may also have to show proof of transaction volume; verification of identity; company registration information and in some cases you may need to be there in person to open the account at a bank branch. It is possible to select the best bank for your corporate bank account in 2019 by examining corporate offshore banks with good standing and connections with banks in multiple jurisdictions worldwide. Consider the services, facilities and financial products these banks can provide and bear in mind your business’s specific financial needs. With a thorough knowledge of the banks and what they offer together with a clear picture of your business’s present and future requirements you can select the best corporate bank for you. The best corporate bank will be able to set up a tailor-made corporate offshore bank account created with your business needs in mind. Looking for service quotes for Opening Business Bank Account in Europe? Please leave your contact details and we will get back to you. Is Your Money Safe in banks in Europe? 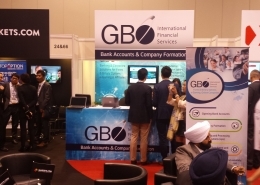 https://www.gbofintech.com/wp-content/uploads/2018/05/services2.jpg 1000 1000 admin2 https://www.gbofintech.com/wp-content/uploads/2018/08/לוגו-רקע-שקוף-מתחת.png admin22019-04-11 13:27:122019-04-11 13:29:43Is Your Money Safe in banks in Europe?